An artist’s rendering of the proposed redevelopment of Suffolk Downs. 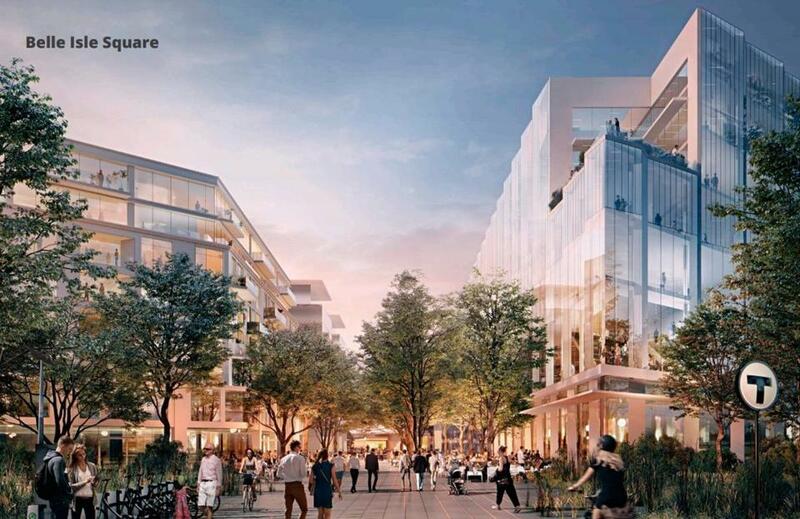 The start of development at Suffolk Downs — perhaps including an Amazon headquarters campus at the East Boston site — is set to easily win city and state approvals this week. The Boston Planning & Development Agency is scheduled to vote Thursday on two proposed office buildings, totaling 520,000 square feet, near Suffolk Downs Station on the MBTA’s Blue Line. In addition, the project is expected to win city zoning approval next week, and it has received a green light for accelerated environmental permitting from the state’s environmental secretary, Matthew A. Beaton. A yes vote by the board of the BPDA — which nearly always approves projects it votes on — would clear the way for construction to begin this spring. “We just need a tenant,” said Tom O’Brien, managing partner of HYM Investment Group, the developer. One potential tenant — and the reason for the quick pace of permitting — is Seattle-based Amazon, which is scouting the nation for a place to build a massive second headquarters. Last month, the company named Boston as one of 20 places it might choose. In their pitch to the retail giant, city officials circled Suffolk Downs as an ideal site, saying the former horseracing track is the one place in Boston where Amazon could build 8 million square feet of office space over the next two decades. That’s Amazon’s long-term plan, but it also has short-term needs: The company wants 500,000 square feet of office space it can move into by the end of 2019. HYM filed detailed plans for the project with the BPDA two month ago and requested a quick environmental review at about the same time. If BPDA approval comes this week, it would be far faster than for most other comparably sized projects, though the broader 161-acre site — with dozens of buildings planned — probably faces several more months of review. city officials note. Likewise, the full site will undergo a standard environmental review. Both O’Brien and Greeley noted that HYM began talking with neighborhood groups about plans for Suffolk Downs well before Amazon’s coming to town became a possibility. Comment letters filed last week with the BPDA generally supported the project, though a few residents said HYM should do more to provide affordable housing for residents at risk of being priced out of East Boston. Other critiques focused on the need to address rising sea levels, as well as transportation. Three East Boston elected officials asked that the project help fund a long-planned downtown connection between Bowdoin Station on the Blue Line and Charles/MGH Station on the Red Line — something that was included in Boston’s pitch for Amazon’s so-called HQ2. If HQ2 goes elsewhere — to another site in Greater Boston or to another area — HYM could still build the two office buildings for someone else. But if “the company from Seattle” — as O’Brien repeatedly called Amazon at a zoning hearing Wednesday — wants to make its second home in Boston, ground can be broken for the Suffolk Downs project immediately.